Firstly, thank you, everyone. It's been an indescribable time, and it has helped, knowing and seeing your support. The funeral was last Friday, and it went.. well, about as well as such a time can. His influence doesn't end with his life, however - I continue, as does my brother, and the rest of the family, descendants and siblings alike. Mixed into all that's been the news that a friend's son, who's been seriously ill for a few months, may well also depart in the next few days. His tragedy is the greater - Dad had led a long and well-explored life; but what the hell kind of age is 13 to go? It was, thankfully, a beautiful day - bright blue skies, faint wisps of cloud. I shan't go into the service here, but the eulogy my brother prepared was superb, genuinely evoking who he was, from his early working life, through his peak, and into his retirement, in the locale he'd long called home. Afterward, we reconvened at a nearby pub, whose glass-roofed function room provided a fine venue to talk more openly about the loss we'd felt, and in many cases, to reconnect old bonds, family and friends alike. Amidst such sorrow, there was much happiness also. Not such a bad way for the day to end. If you could use a moment of beauty, take a minute to read this letter from Helen Keller, in reply to Dr John Finley asking what she really saw from a visit to the top of the newly-opened Empire State Building. For anyone interested in the old children's TV show, "Animal Kwackers", I can offer a modicum of hope - contrary to popular belief that all episodes but one were lost, I've had it personally confirmed by the BFI that they hold about 40 episodes. Copyright apparently now rests with the umbrella ITV group, though I've heard murmurings that a lack of rights clearance prevents it from seeing commercial release; I'll be asking after authoritative word on that. Copies for personal use are available, albeit at the kind of price one might expect of bespoke work. There's hope for folks living with tinnitus, in a new treatment that simply involves wearing headphones giving a personally tuned signal for a few hours a day, disrupting the rhythmic firing patterns of the auditory receptors involved in giving rise to the phenomenon. At present, it's a private-only treatment costing £4500, but with initial results offering a 75% response rate, NHS availability would seem highly likely. Trailer for the day has to be Prometheus, a newly released one, not from a couple months back. There's also a little fake ad, Our Family is Growing - not necessary for the trailer, but it mightn't hurt to watch it first. Some of youse guys follow computing components developments closely - has there really been no advance in 2.5" HD capacity in the last two years? Seems 1TB remains the upper limit, despite my 1TB Toshiba being almost that old now. I'm keeping an eye on the bad sector count, though, as I've noticed a few random system-wide stalls lately, lasting several seconds, which is what I found when the original drive went south. It does have a few thousand remapped sectors now, new in the past year, but I wasn't monitoring the state of the drive in the meantime, so I don't know if that's a recent thing, or a gradual development. In any event, it doesn't seem to be an immediately ongoing degradation, as the past few days haven't shown any change in its SMART stats (courtesy of smartmontools), so it doesn't seem to be an ABANDON DRIVE situation. I see Seagate has a 1.5TB available, but it's around 14mm tall, so not much use in most laptops. Is there really nothing better? Despite its proximity to the Sun, and consequent searing temperatures across much of its surface, there are hints emerging that Mercury may have water ice at its poles, in craters that are permanently in shadow. TED's just launched TED-Ed, "pairing extraordinary educators with talented animators to produce a new library of curiosity-igniting videos". An interesting set of observations from James Whittaker, formerly of Google, on the way the company has changed in its relentless pursuit of Facebook. Larry Page himself assumed command to right this wrong. Social became state-owned, a corporate mandate called Google+. It was an ominous name invoking the feeling that Google alone wasn't enough. Search had to be social. Android had to be social. You Tube, once joyous in their independence, had to be … well, you get the point. Even worse was that innovation had to be social. Ideas that failed to put Google+ at the center of the universe were a distraction. Village Voice reports of the surreal, yet hardly unique, case of NYPD office Adrian Schoolcraft. "In October 2009, Schoolcraft met with NYPD investigators for three hours and detailed more than a dozen cases of crime reports being manipulated in the district. Three weeks after that meeting - which was supposed to have been kept secret from Schoolcraft's superiors - his precinct commander and a deputy chief ordered Schoolcraft to be dragged from his apartment and forced into the Jamaica Hospital psychiatric ward for six days." A report in his forcible detainment was completed two years ago, but the NYPD's since fought to keep it under wraps. "Investigators went beyond Schoolcraft's specific claims and found many other instances in the 81st Precinct where crime reports were missing, had been misclassified, altered, rejected, or not even entered into the computer system that tracks crime reports." Or, if you'd prefer something lighter to consider, how about a brief video clip of Darth Vader in a kilt, playing the Star Wars theme on bagpipes, riding a unicycle? Fascinating chance discovery: a cheap antibiotic, minocycline, appears to be dramatically effective against psychosis. Officially, only the iPad 2 and 3 can run iPhoto - but, if you fetch Apple's free iPhone Configuration Utility (OS X and Windows versions available), you can indeed install it on an original iPad, and it does appear to work quite satisfactorily. ^_^ Rather a nice app, too, both in terms of functionality and UI. A particularly adorable furry Kickstarter: The Tinies of Raglan Shire, which has actually met its original goal of $8,500 - but more probably wouldn't be badly received! ice_foxx's latest edition of This Electric Music is out: download episode 5 here, or let it get slurped into iTunes automagically over here. Cracked took a wry look at five Cold War myths - nothing revelatory, but succintly executed. Interesting little utility from Adobe Labs, for web designers looking to ensure their sites perform well on mobile devices as well as desktops: Shadow. It's a simple concept - essentially, it lets your mobile devices (iOS and Android) browse synchronously, under control of the desktop client, so you're literally seeing the same page on multiple devices at the same time, without needing to manually browse on each one. Quite a promising waste water treatment system, seemingly ready for initial deployment - rather than requiring energy to process the water, typically around 1.2kWh/kg, this turns the waste into an energy source, producing 0.94kWh/kg. It's the stuff of urban legends, but verifiable in this case, where a teen driver was rattling off text messages to friends, while driving at 80mph along I-84. Her last message? "I can't discuss this now. Driving and facebooking is not safe! Haha." A tragedy in any event, but even moreso for the loss of an otherwise star student. If you're looking to develop an iOS and/or Android game, Unity3D's kindly offering Unity Mobile Basic for free, until April 8th - not a trial, but the real deal. Just go along to their store, pick Unity Basic, and add the iOS and Android versions for nothing extra, and go throught the checkout procedure. You'll need to register for an account, but that's a painless matter of email address and password, and a billing address. Today in the Death of Print: Encyclopedia Britannica ends its print editions. "It’s a rite of passage in this new era," Jorge Cauz, the president of Encyclopaedia Britannica Inc., a Chicago-based company, said in an interview. "Some people will feel sad about it and nostalgic about it. But we have a better tool now. The Web site is continuously updated, it's much more expansive and it has multimedia." And yet, as far as I'm aware, it's still only available in highly abridged editions for mobile devices, when the entire work would likely be on the scale of only 2GB or so; similarly Grzimek's excellent Animal Life Encyclopedia, some 17 volumes in print, and not even 1GB in digital form. There's quite an amazing story behind a particularly distinctive - and huge - insect that was considered extinct, until its rediscovery on a nearby.. well, technically an island, but more of a tall crag, making for a known worldwide population of 24 at that point. Well, here's your hard drive advance, if that helps? Oo, very interesting! Perhaps HDDs will be with us for a while longer, if such drives appear at similar prices levels to current hard drives. Though, the number of players in hard drive technology is becoming worrisome - not that it's hugely better in SSDs, of course, where Samsung and Toshiba seem to have an effective lock on the market, within whatever Apple doesn't need. *hug* Not to worry. How'd the trip photography go? Ohmygoodness, that flying bun shot - superb! Thank you for the update - I'm glad it all went as well as it could. Nice weather certainly helps! That was easily the best of the tinybun photos from the trip, though I do like Conference as well, with four of them gathered together. It was so heartening to see that many out and about, with upward of a dozen buns in total on all three days I was by that field. Indeed, the weather definitely helped. We all knew why we were there at the gathering afterward, but in good company, with delicious snacks from the locality, with the sun shining down - really not a bad conclusion to a good life. Move over Monorail Cat. 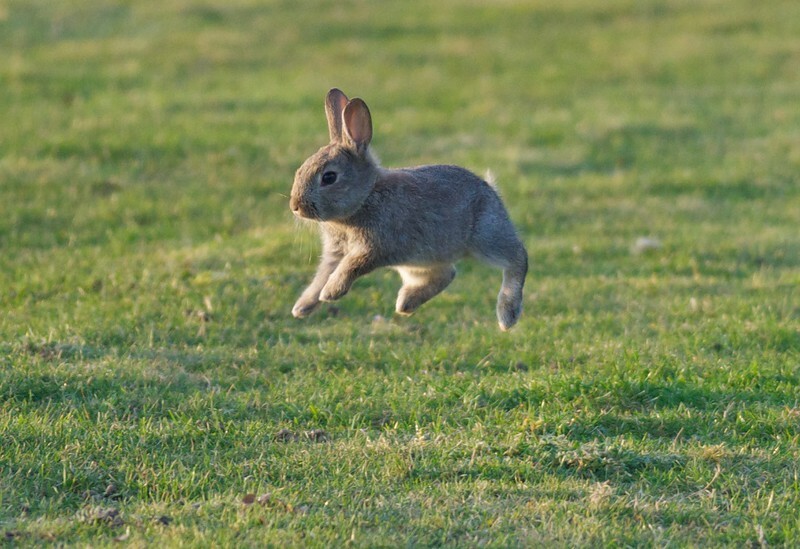 Hover Bunny is in business. I wish I'd discovered Lurid Digs long ago. It's absolutely inspired. ^_^ The critiques are genuinely well-written, and they choose their subjects judiciously - the backgrounds really do capture one's attention, despite the intended subject of the shot. I don't really keep an eye out for 2.5" drives, since they're generally more expensive in terms of GB/$. But it's true, I haven't really seen significant price drops for 2.5" drives, except for SSD drives. SSD prices have decreased since they first caught my eye. But looking at http://bensbargains.net/categories/internal-drives-37/... 2.5" drives are still annoyingly expensive (probably due to low demand?). Mayhaps to the point where it might even be cheaper to snag a 2.5" external drive and remove it from the enclosure, so you get a nice enclosure out of the deal too. Oh, also, thanks for the Unity link. In for 1. Yay~! It is a bit odd, seeing 3.5" external drives sometimes cheaper than just the naked drives. But, there's a fair chance the case wouldn't be readily usable - the cases aren't made with opening in mind; I've read data recovery tales where the folks have had to all but destroy the case to actually get to the drive. And getting another 3.5" might be on the cards, though I ought to just get determined about wiping stuff I'm never really going to use again. Still, at least I've got the current drives all happily hooked up to the Airport, and thus available any time I want them - and at quite reasonable speed, around 10-14MB/s over 5GHz. Not bad, given I'd only get perhaps double that if connected directly to Dandelion. And of course I'm really pleased that you were able to remember a good life well led, which is always the best way, if "best" can be said to be an appropriate word in such circumstances. That shot came from my stay with an old friend, the weekend after my visit, and before Dad's end - really, a superb way, in retrospect, to prepare myself for that news. Such good weather, and the buns out in force, all so healthy, so vivacious.. for me, at least, that's probably about the best possible way to relax, take stock of the world, and admire just what a wonderful planet this can be. Google appears to had been a stimulating and fun place to work until all the stimulation has been flushed down the drains by some corporate leeches wanting primarily to make dough whatever the cost is. I can't see clearance happening for Animal Kwackers in that the music would be very difficult to clear.And i can't see FremantleMedia showing in on a cable channel, RTL seem to do things with both ITV and BBC. Thanks. ^_^ That's awfully kind. I've always enjoyed LJ for the community it's brought together - one of those odd, pseudo-random happenings of the net, a bit like the way furrydom descended on SL, making it one of the well-known communities there as well. While I'd like to post more, I've become more of a private person over the years in addition to losing the drive to share what goes on around me so much. Not too sure why.